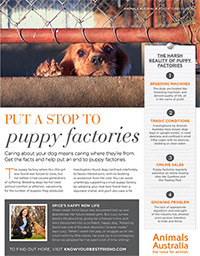 Aussie magazines join the fight against puppy factory cruelty! 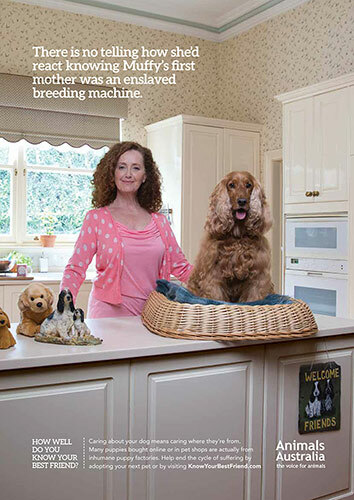 Thanks to generous Animals Australia supporters, our eye-opening TV ad is back on air — bringing the truth about puppy factories to millions of people. 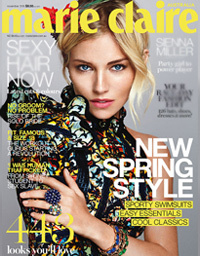 Now we're hitting the pages of iconic magazines, too! Whether you love fast cars, current affairs, or collecting Art Deco furniture, chances are you're going to see our ad on TV soon. With screen-time during top-rating programs like Top Gear, The Project and Antiques Roadshow — and even appearing across juggernauts like The Discovery Channel and National Geographic Channel — our doggy ambassadors will be reaching millions of Australians, no matter what their interests are! 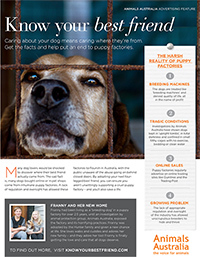 We've now also teamed up with some of Australia's favourite magazines, on behalf of Australia's favourite furry companions, to reach even more people with the 'Know Your Best Friend' message that caring about your dog means also caring where they came from. From now until the Christmas season, these bold print ads are featuring in best-selling magazines like Marie Claire, Better Homes and Gardens, New Idea and Who. And with 'Better Homes' alone reaching more than 2.2 million people, that's barking great news for dogs! But the best news of all is that the 'Know Your Best Friend' message is getting through loud and clear. Surveys reveal that after discovering the truth about inhumane puppy factories through our ads, some 3 million newly informed people would be less likely to buy a puppy online or from a pet shop. 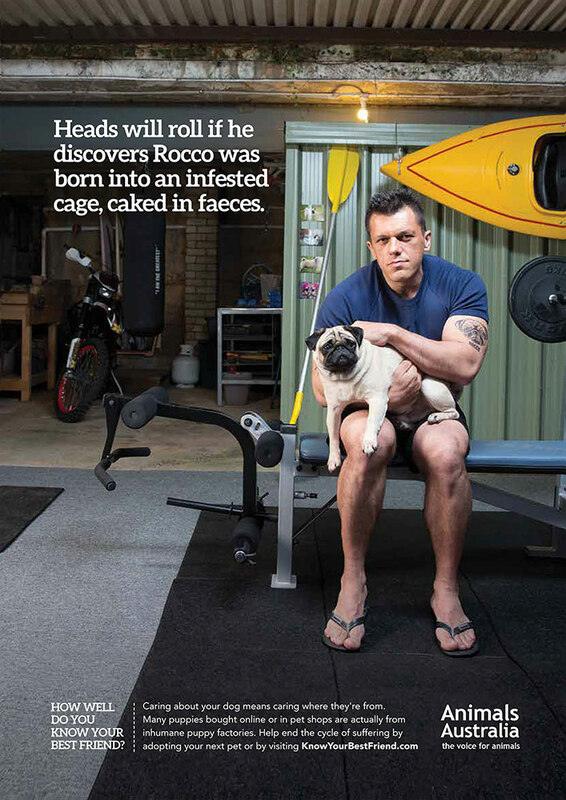 Politicians are sitting up and taking notice too, with the Victorian government pledging tougher restrictions on dog breeding. They'll also only allow pet shops to rehome dogs and cats from rescue shelters — which will sever a critical link in the cruel puppy factory supply chain. 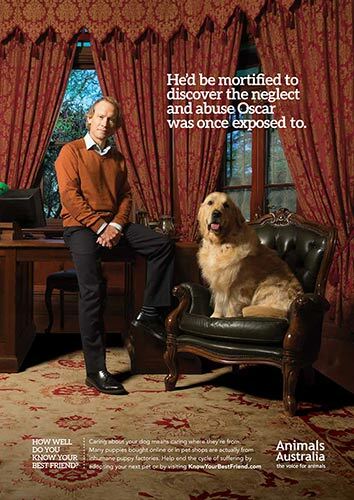 More bark, more bite: help spread the word. 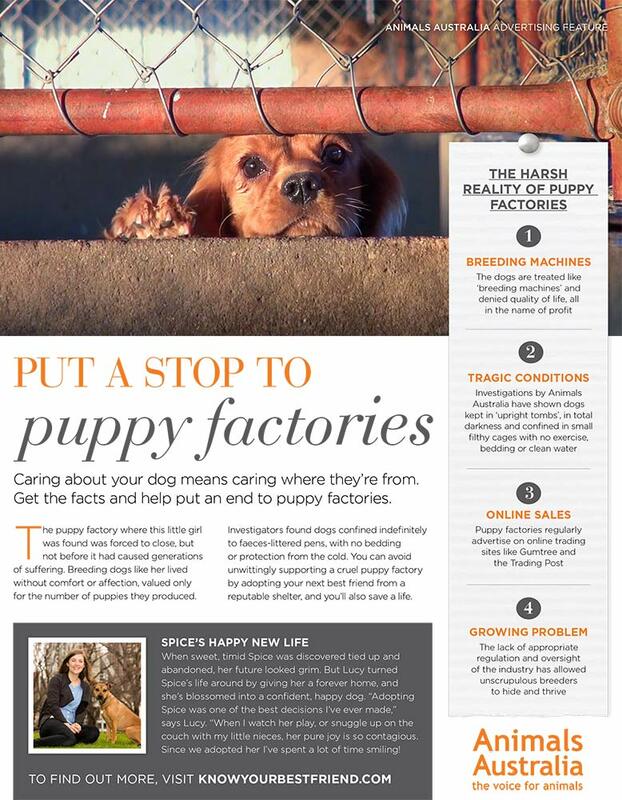 Puppy factory cruelty only continues because caring people have been kept in the dark. But you have the power to help the dogs still suffering in inhumane puppy factories. 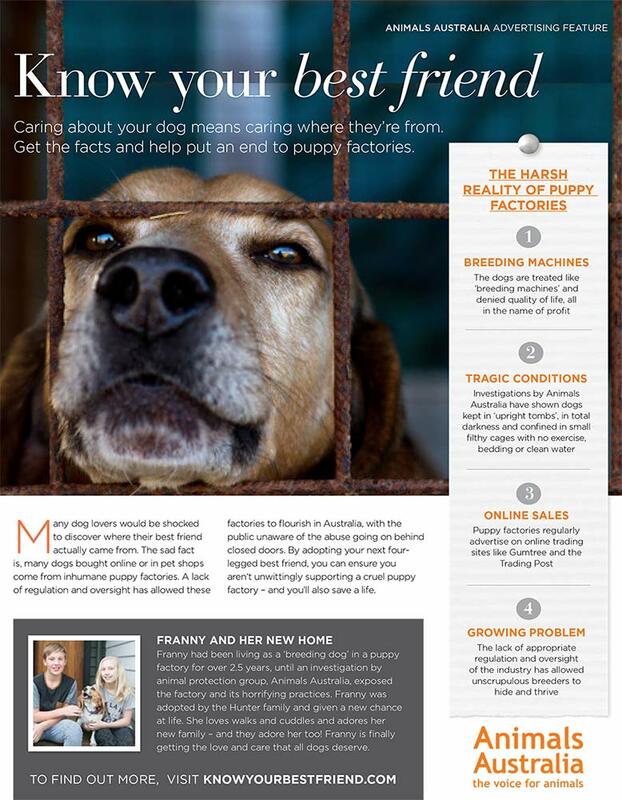 Simply by encouraging your friends to "adopt, not shop", and sharing the Know Your Best Friend video online, you can help drag puppy factory secrets into the light!